Zara isn’t an up-and-coming player in the fashion industry anymore. The company is the big dog when it comes to fast casual fashion and their impact is even affecting higher end labels globally. With expansion in the United States and all around the world Zara has accumulated a legion of loyal (and rabid) followers expecting the latest trends at a reasonable price point. What makes Zara even better is the fact that they heavily-discount their items a couple times a year in their bi-annual clearance sale — one in the Spring/Summer and the other is the Fall/Winter sale. The fact that they only have two of these markdown events makes them even more special. Fans of Zara clamor for the sales and true fanatics know that the best time to hit it is the end of one of those sales when the items are mark downed to a fraction of its retail price. That has fashionistas searching early and often about what the Zara sale dates are for the year. Since we’re deep into the holiday season, searchers are looking for the time and date of Zara’s Christmas sale. When is Zara’s Christmas Sale for 2018? With the Winter sale upon us, it’s been a good last few weeks for Zara fans considering the great 2018 Black Friday sale we just experienced. 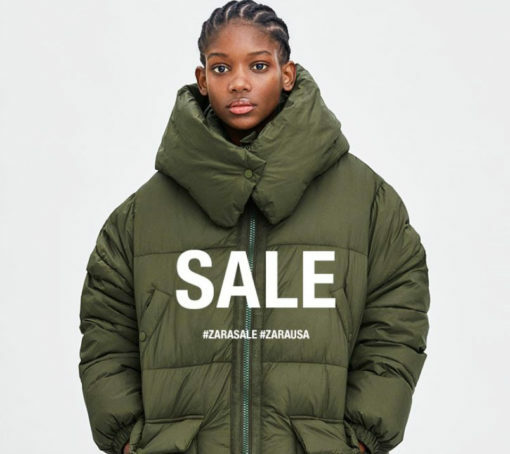 If you missed the Black Friday sale and markdown, you won’t have too much time to feel regret, the 2018 Zara Christmas sale is upon us and you can make up for your Black Friday faux pas by getting 30, 40, 50, 60, 70. 80% off their collections. Happy shopping and even happier savings my friends.